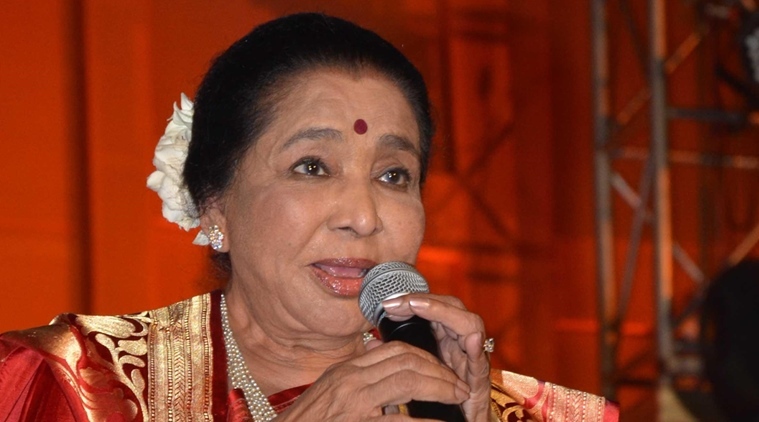 Veteran singer Asha Bhosle says that she is glad to see that women are coming out in open to talk about their issues and fight against injustice. Asha Bhosle was interacting with media at the launch of new iPhone XS and iPhone XS max along with Madhuri Dixit Nene on Friday in Mumbai. When asked about her take on current scenario where women are standing up against injustice towards them in the society, she said, "It's a positive step and women should express their issues and should fight for their justice otherwise people who are exploiting women will get an encouragement so it's really good that women are coming out in the open to talk about issues." She added that she pursued her singing career while taking care of her family. "Women are being exploited from many decades. Earlier, people used to have a perception that they should spend their entire life in kitchen and take care of their family and children. I think women should come out of that, the way I came out of it. I took care of my house, family and children but at the same time, I pursued my singing career," said the veteran singer. Recently Tanushree Dutta claimed that veteran actress Nana Patekar had harassed her on sets of movie “Horn Ok Please” in 2008. Janice Sequeira, a journalist, backed her allegations, claiming to be an eyewitness of the incident. Tanushree also alleged that filmmaker Vivek Agnihotri had told her to strip and dance on the sets of 2005 released film "Chocolate". Earlier, many Bollywood celebrities like Farhan Akthar, Swara Bhasker, Sonam Kapoor, Twinkle Khanna and Priyanka Chopra came out in the support of Tanushree who opened floodgates against sexual harassment at the workplace by joining #MeToo Movement in Bollywood. Talking about how her granddaughter is contributing towards society by opening mobile showroom, Asha Bhosle said, "My granddaughter who studies in Geneva wanted to open this mobile showroom to support education of underprivileged children and every year, we donate certain amount through this showroom to Nanhi Kali Foundation and daughter-in-law looks after this showroom."